This an amazing kitchen table ideas, has a minimalist modern design that appeared in full view with high technology. 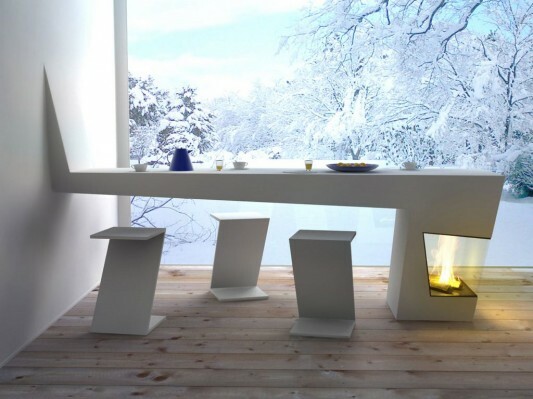 The idea of this unique modern kitchen and kitchen table that combines functionality combined with a fireplace for winter. 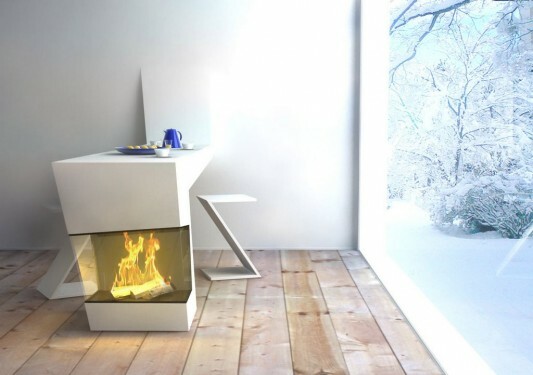 The combination of the kitchen counter and stove, be one way of keeping the kitchen stay warm when the winter, this is a very creative idea.